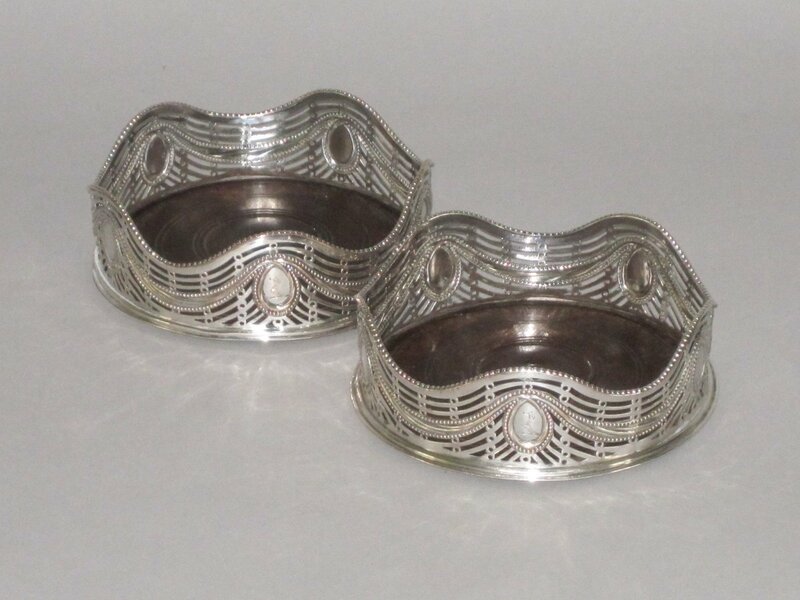 A PAIR OF OLD SHEFFIELD PLATE SILVER WINE COASTERS. GEORGE III, CIRCA 1775. Of scalloped circular form with embossed & pierced decoration, beaded borders and engraved crest. Turned wooden bases.